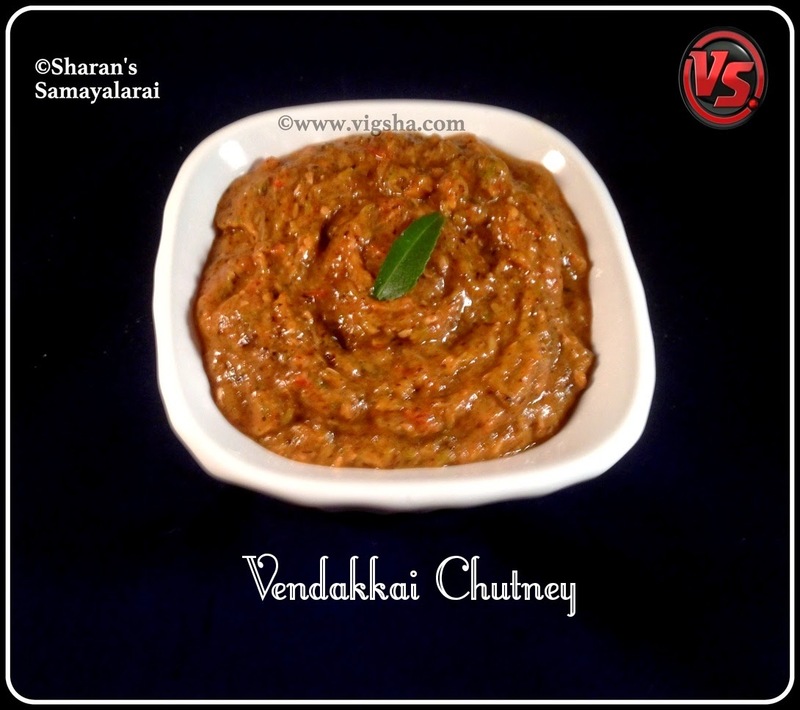 Vendakkai Chutney is from Andhra Cuisine. This chutney is spicy and appetizing. My hunt for vegetable chutney never ends. I keep searching for new recipes and this recipe is one among them. Click here to know how to avoid stickiness in Okra. Check out my other Vendakkai(Okra) recipes which I have already posted :- Stuffed Okra ( Bhindi ) fry, Vendakkai Kuzhambu, Vendakkai Pulusu. 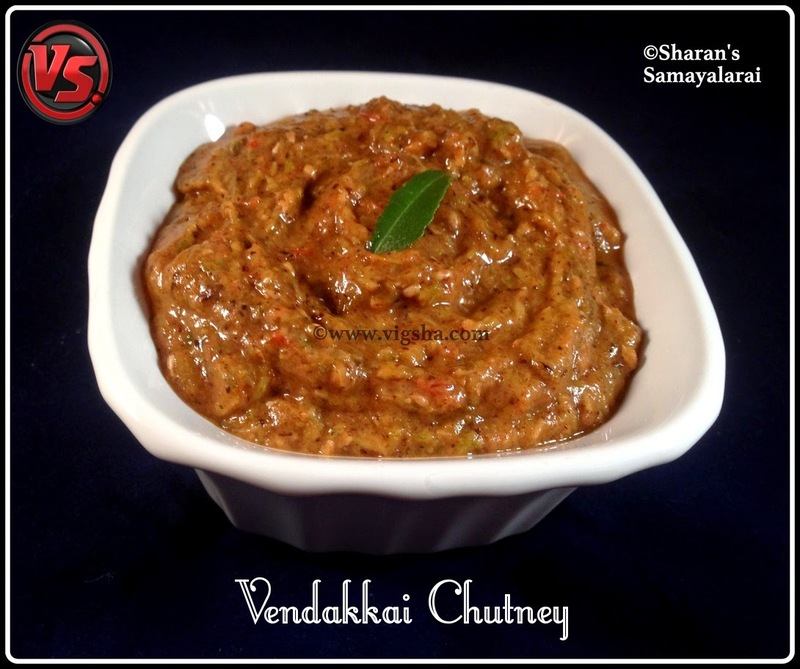 Check this link for more Chutney Recipes. 1). Wash and dry the okra, chop them into pieces and set aside. Click here to know how to avoid stickiness in Okra. Heat oil in a pan, add cumin, curry leaves and green chillies. When cumin splutters, add chopped onions along with salt and saute. 2). Once the onions turns light brown add the chopped okra and turmeric powder. Fry well on a medium heat till okra turns slightly brown. Then add chopped tomatoes and saute till tomatoes become mushy. 3). When it's done, turn off the flame and allow it to cool. Transfer the sauteed items to the mixer and grind it to a coarse paste. Vendakkai Chutney is ready ! I served it with Aval (Sago) Dosa. #Do not add water while grinding the mixture. # Make sure to wipe the okra, any water will make it more slimy. # Don't close the lid while cooking the okra, then the chutney will become like a paste.